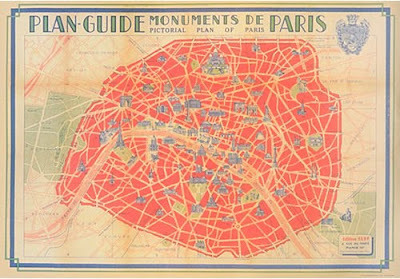 Paris Map Red Cavallini Wrapping Paper for $3.95?! You know, I didn't buy a 2010 planner this year and I'm usually on top of buying one at the beginning of the year but I just put it on the back burner (typical me). I'm still actually surprised that I haven't bought one yet (I'll probably make a pit-stop at Barnes & Noble at some point this weekend) but I told myself that I just had to get one this past weekend since it not only keeps track of everyone's birthday, but also of all the events that go on in my life (I don't have that many, but it makes me feel good to write down the ones that I do). I also, and this is a big secret and I can't believe I'm spilling this to the world wide web, keep my username and passwords for all of my online accounts in the planner too. Terrible idea, I know, but if you know me very well, then you know that my memory is terrible, as terrible as my eyesight, which is why I have to write things down somewhere...and what better place than in my planner? If it makes you feel any better, I do keep my planner at home and not in my purse. To get to the point, I went to the Paper Source in Annapolis hoping to find one. While I am rarely disappointed in any trip to Paper Source, I have to say that I was unable to find a planner that was to my liking. BUT I did stumble upon this great wrapping paper which depicts a map of Paris. Well, the size and color and of course content got me thinking that this would look great in our dark blue powder room. It's got bright, light colors, and really, a map of Paris never gets old. So I got it. Plus, it was only $3.95! And now it's just waiting to get adorned with the perfect frame. Once I find it, I'll post pics of it in the bathroom. Wrapping paper, whether it's a repetitive pattern or a scene of something, is a great alternative to artwork. Don't forget that, I tend to sometimes.